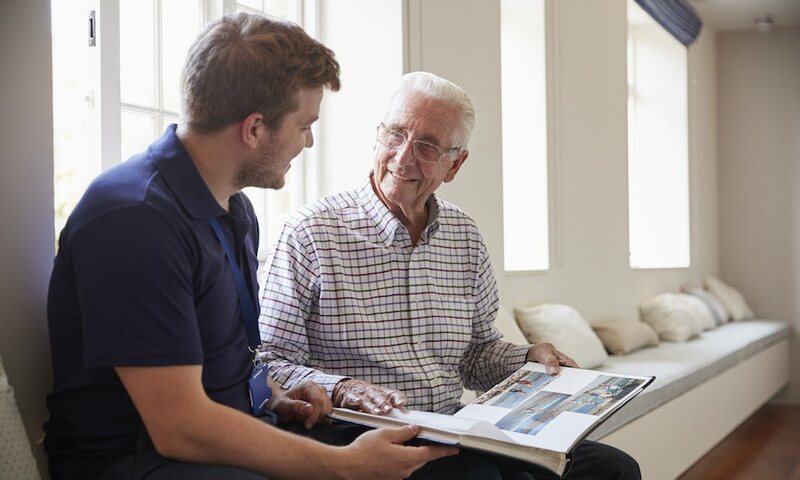 Home » Memory Care » What Does Memory Care Cost? Memory care costs depend on a number of factors including the location of the memory care facility, the number of clients accepted, and the amenities offered. Some memory care facilities specialize in late-stage Alzheimer’s disease, whereas others function as a nursing home or assisted living facility. The only true way to know how much memory care will cost is to learn more about the memory care facilities in your area. The cost of memory care varies widely, depending on the services available and the facility’s specialization. On average, a private room in a memory care facility in the United States costs approximately $5,745 per month. 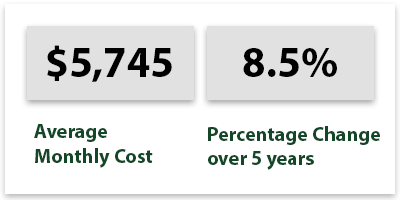 The location of a memory care facility has a significant impact on its cost. For example, it’s more expensive to get memory care in Hawaii than Arkansas. In Hawaii, the average cost of a private room in a memory care facility may cost around $13,216 per month. The cost is significantly less in Arkansas at around $4,132 per month. The most expensive states for memory care are Delaware, New Jersey, Alaska, Connecticut, Rhode Island, Massachusetts and New Hampshire with monthly costs over $6,200 per month. The least expensive states for memory care are Missouri, Georgia, North Carolina, Utah, Louisiana, South Dakota and Arkansas with monthly costs under $4,300 per month. In many ways, memory care is an ever-evolving medical practice, with significant advancements and research on the horizon. It’s important to choose a memory care facility that provides the latest and best care for your loved one. Identify your care needs. Some facilities specialize in late-stage dementia but cost more for care. By establishing your care needs first, you can find the right level of care at the best price by finding a memory care facility that offers the level of care that is needed. Establish a budget. Memory care can be expensive. Establish your budget at the beginning of your search so you can be realistic about what facilities you can afford. Make a list of locations. Because memory care facilities are specialized, it is possible that you won’t have one that’s available in your hometown. Make a list of nearby or acceptable locations that you would consider in your search. Research memory care facilities. Once you know what it is you’re looking for, plan to spend a considerable amount of time researching memory care facilities. This includes time spent online, reading reviews, and visiting the facilities in person. Discuss top picks with your medical provider. When your list is down to the top two or three memory care facilities, discuss the choice with your medical provider to see if they have any insight into which one is best. As a member of the local medical community, it’s possible that they have heard things about the memory care facilities in the area. Finding the best memory care facilities can be a daunting task. Start by looking at the facilities closest to you to get an idea of what memory care costs and what services are commonly available. Choosing the right memory care facility is an important decision that impacts your loved one’s health and happiness. You want to choose a memory care facility that has a qualified and friendly staff, state-of-the-art treatment options, delicious food, and fun leisure opportunities, whether an outdoor courtyard or weekly game nights. There are fewer specialized memory care facilities relative to the number of assisted living communities and nursing homes. Despite this, there are still quite a few options to evaluate, especially in larger cities. To figure out which one to choose, you’ll need to conduct research and take tours of your favorites to find the right match your loved one will be happy to live in. When searching for memory care, the cost is often a large determining factor. People often make important senior care decisions because of cost, sometimes resulting in a compromise of quality. We have ranked the cities below from least expensive to most expensive to provide you with information about the cost of care.